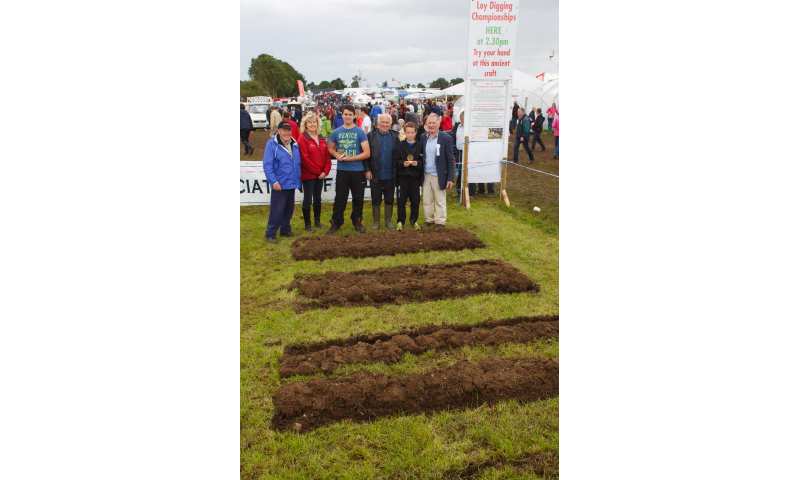 The Tullamore Show is delighted to welcome Loy Digging back to the show on Sunday August 11th. Eamon Egan, Secretary, Loy Assoc.of Ireland tells us "The loy is uniquely Irish. 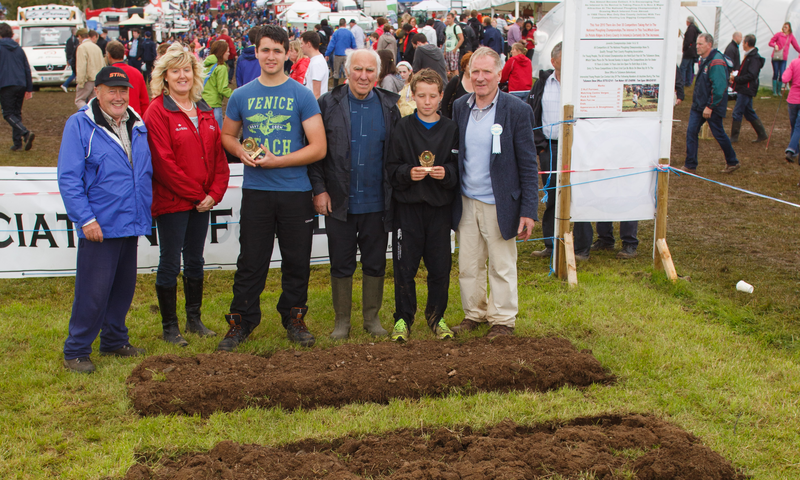 It's characteristics are weed-control and drainage which cannot be surpassed by the most modern technology of today. 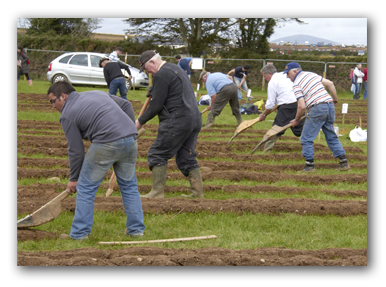 We are fortunate that the custodians of its use are with us still. We should be grateful to the people who saved it for us. God be with the tool that fed our nation. Long may its use continue. 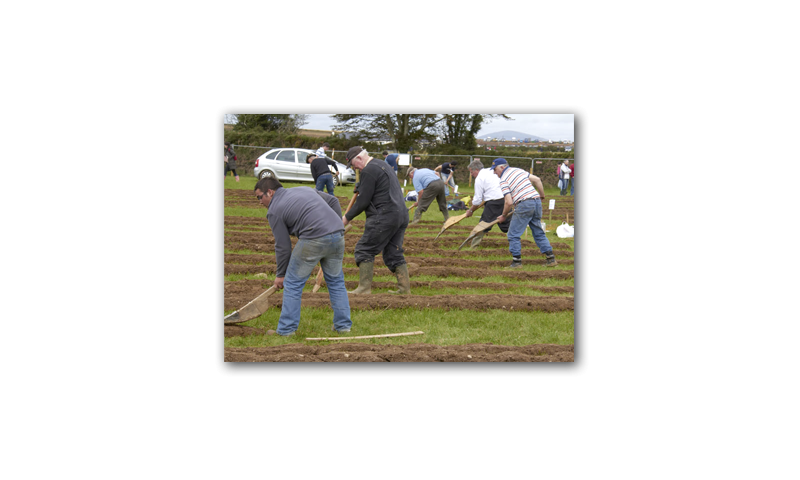 “Work hand & foot, work Loy & Hand The Blessed fruit that grows from the root is the real gold of Ireland"
There will be Loy Digging demonstrations throughout the day from 10:30am until 4.30pm. 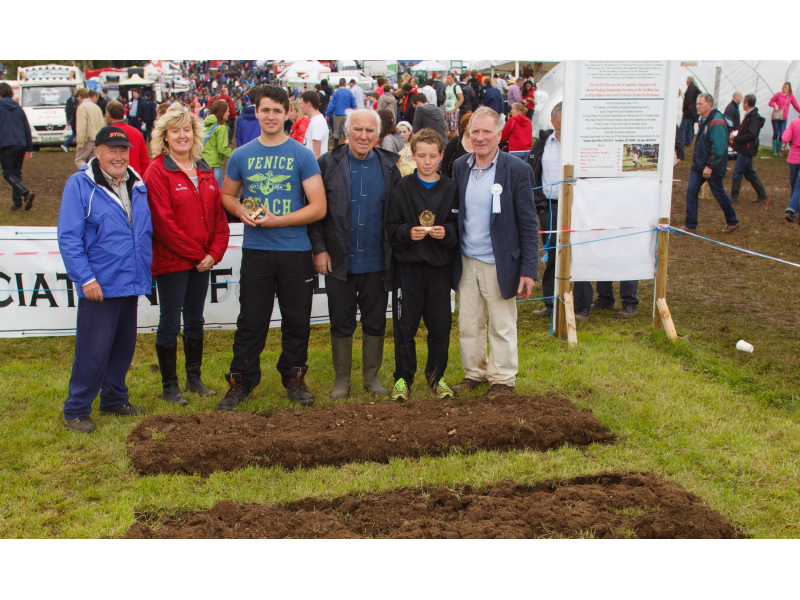 The demonstrations will be shown by Tom Egan and Bernard Casey, both members of The Loy Association of Ireland. 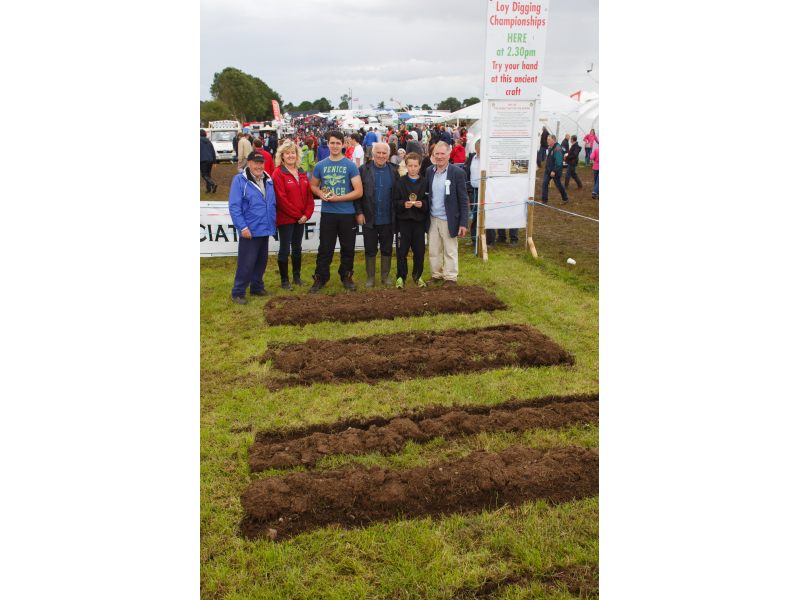 A plot of ground beside the demonstration will be set aside as a space for members of the public to try their hand at loy digging. 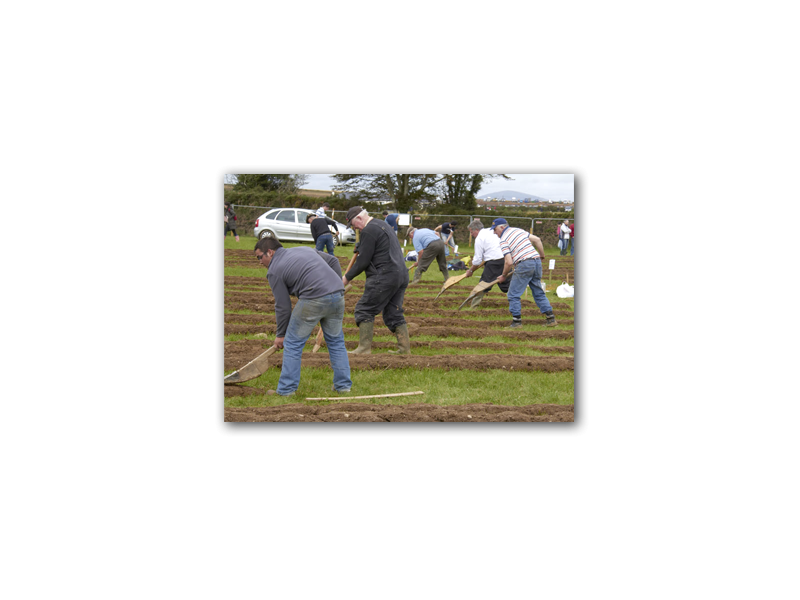 Members of the Loy Association will be present to give advice and assistance to any beginners at loy digging and to anyone who never before has seen a loy. 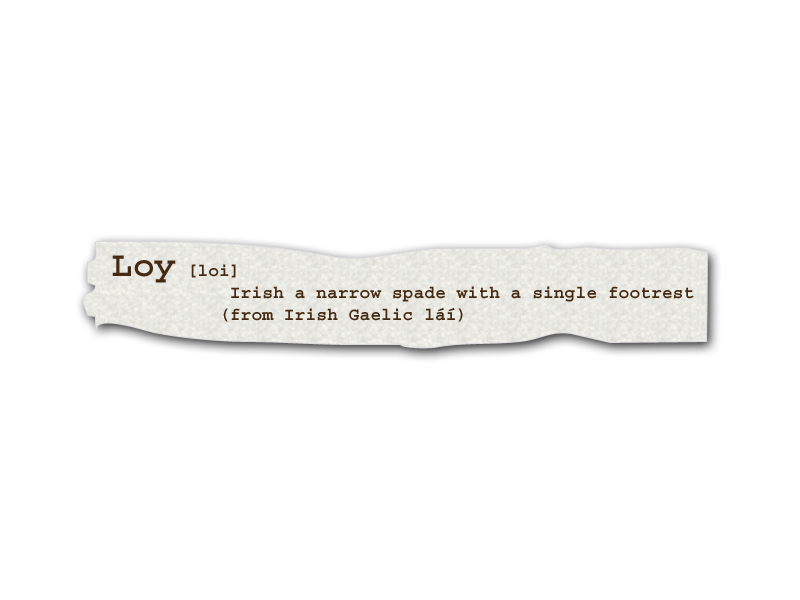 A loy is an early Irish spade with a long heavy handle made of ash, a narrow steel plate on the face and a single footrest. 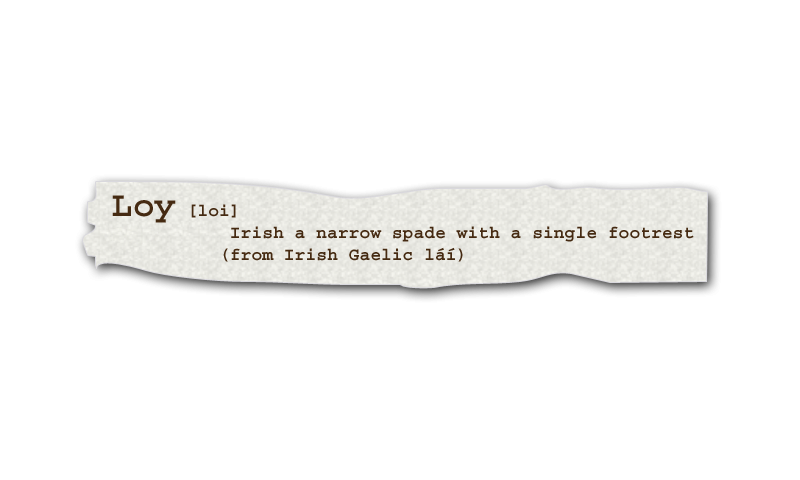 The word loy comes from the Irish word láí, which means spade. 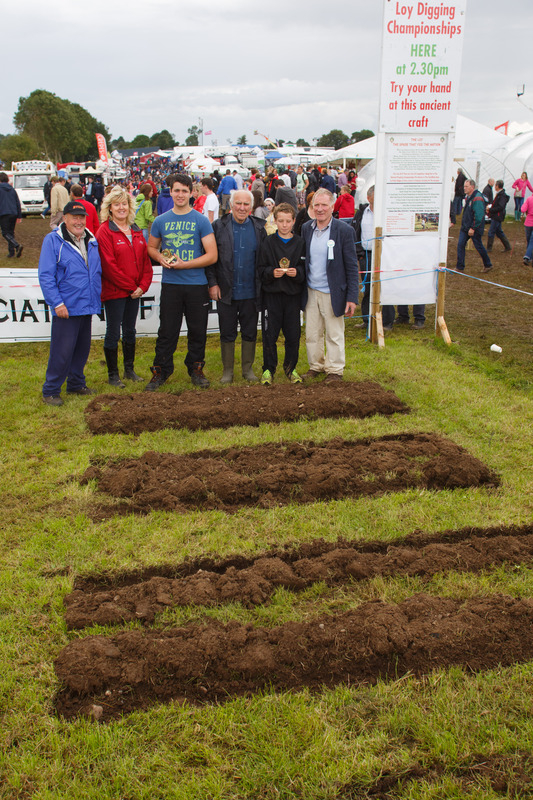 It was used for manual ploughing prior to and during the Irish Potato Famine.